It’s half term already! Are you looking for fun things to do? 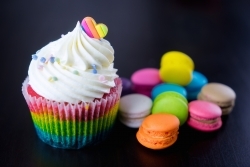 Why not try out this easy cupcake recipe to keep the kids entertained. Start by mixing together the sugar and butter in a bowl. Mix it until it is thick and creamy. One at a time, add in your eggs and a little bit of flour. Mix together each time, until all of your eggs and flours have been added. Separate your mixture into 4 bowls and add a small cap of food colouring to each bowl. Add a small amount of each mixture into the cupcake cases (piling the colours on top of each other). Bake at 180C for 15 minutes (you’ll know they’re done by lightly pushing a spoon on the top of a cupcake. If it the cake bounces back up, they’re done). Once the cakes have cooled, pipe on the Dr. Oetker Easy Swirl Cupcake Icing. 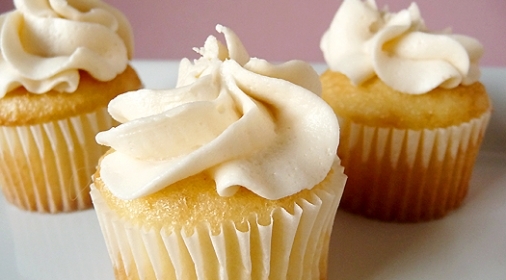 If you would prefer to make your own frosting, check out this easy recipe by Taste of Home.